Attractively designated range of Kids Tattoos (childrens temporary tattoos) are superiorly used as a promotional gift for kids during any event. This tattoo range is patterned by using non-hazardous materials and latest printing techniques. These tattoos are easy to apply and clean, which make it apposite for children. These cartoons are generally provided by us in the shapes of children's favorite cartoon characters and games. 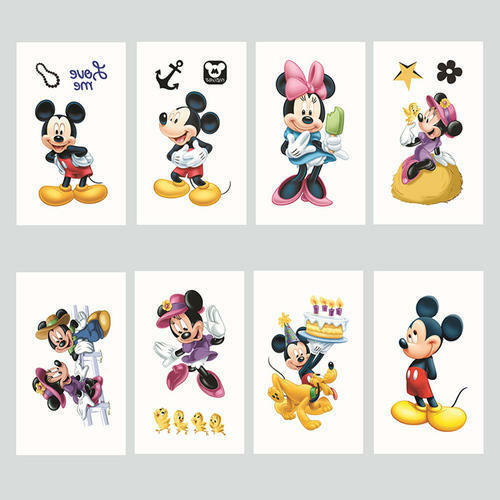 Our gracefully and fascinatingly designated assortment of Cartoon Tattoos is suitably utilized as a promotional gift to kids. To make these tattoos applicable for children, we design them by using optimum grade eco friendly materials and advanced printing techniques. The tattoos are provided in non-permanent images to ensure easy applying and removing on the body skin of kids. The favorite cartoon characters imprinted on these tattoos attracts the attention of kids very much.